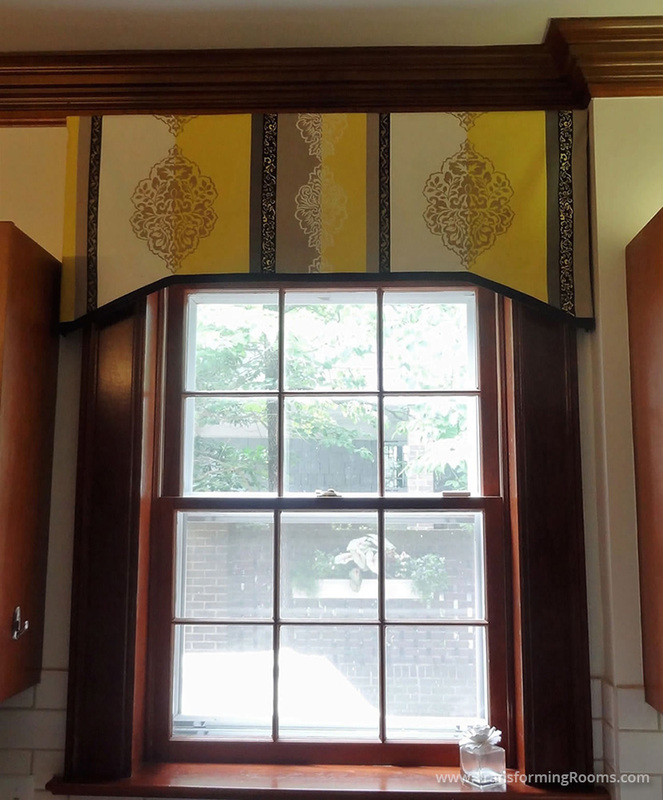 Our kitchen valance is hung above the window, so the ceilings in this Greensboro, NC home feels taller. 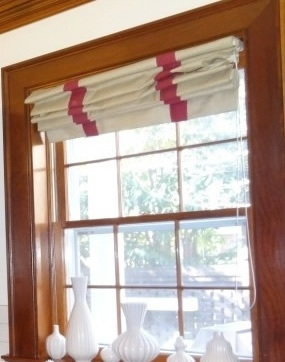 Before, the prior design firm's roman shade hid precious daylight. Numerous reviews refer to us as Greensboro's best source for window treatments. Why? Three reasons: our designer fabrics are unique, we spread out fabrics by the bolt to make visualizing easy, and our amazing turn around times! This Irving park kitchen now feels more cohesive, as the black in the fabric coordinates with the client's black & white tiles.